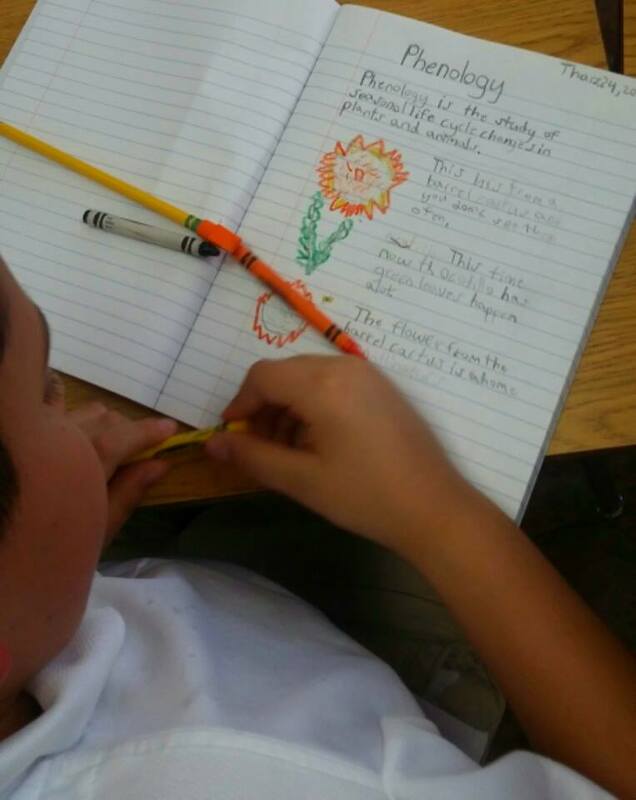 The lesson plans found in this tab are designed to integrate the Next Generation Science Standards (NGSS) (https://nextgenscience.org/) into a phenology-themed citizen science program called Nature’s Notebook (https://www.usanpn.org/natures_notebook). Nature’s Notebook citizen scientists collect phenology data—the timing of life cycle events in plants and animals—in their area for this national online program to generate long-term data sets used for scientific discovery and decision making. Each lesson works to promote the NGSS through the Biological Sciences Curriculum Study (BSCS) 5 E Model to Engage, Explore, Explain, Elaborate, and Evaluate student learning. With the 5 E Model, students are challenged to learn scientific terminology while developing explanations and design solutions; use evidence-based arguments and reasoning; use systems thinking and modeling while conducting investigations; solve problems and discuss open-ended question; and more! The content of the materials included in this tab are meant to act as templates and may need to be edited for each unique school site. The original outline and template that each lesson follows is attached below (The 5 E's Lesson Plan Template) and includes guiding questions and strategies consistent with the BSCS 5 E Model. Please contact Jessie Rack with feedback or questions at jrack@email.arizona.edu.